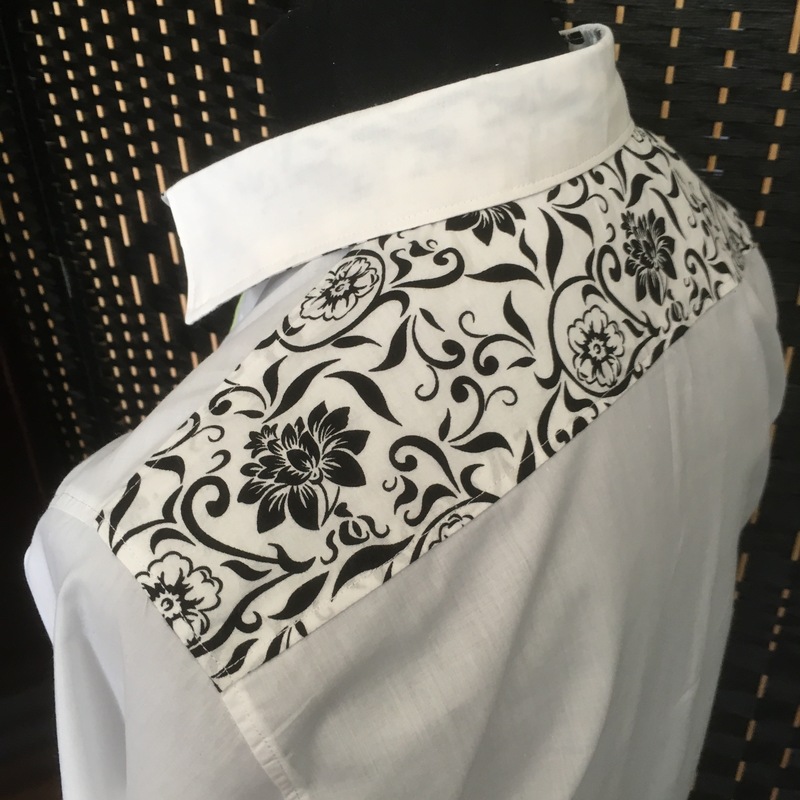 I’ve made a few shirts since I started sewing a couple of years ago. The prototypes, although proud to wear them at first, I’ve now ravaged them of their buttons and they are currently lining my pockets. Yoke/ No yoke/ cowboy yoke. 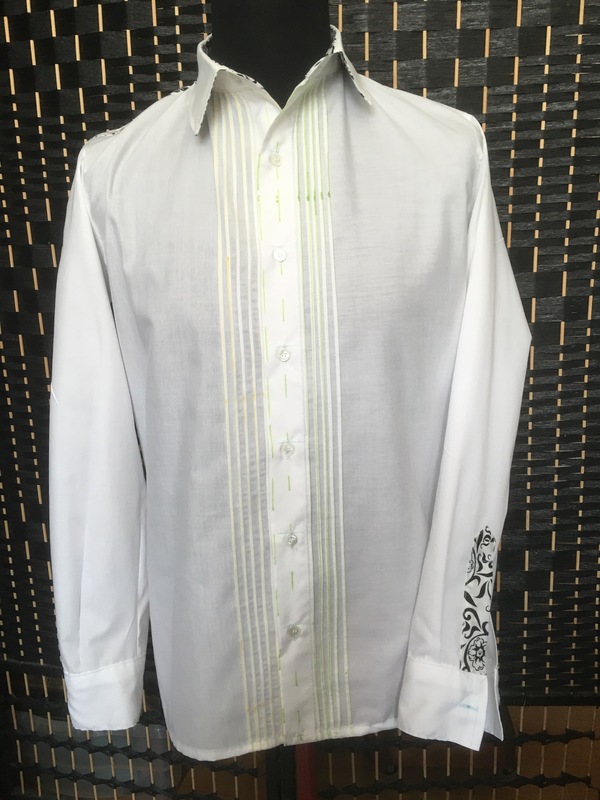 Cuff placket; Tower/ One piece/ two piece contrast. 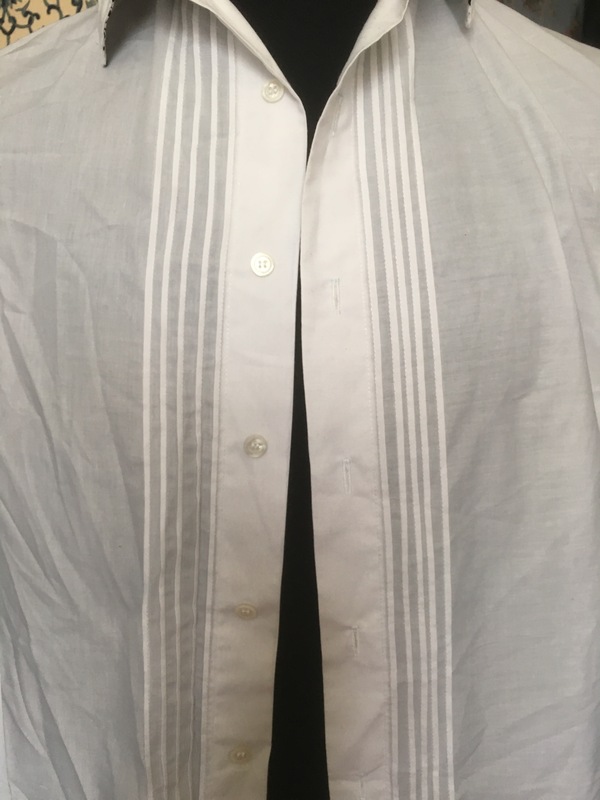 Button placket; Fold over/ contrast/ add on/ ribbon under placket. Altered the darts & slimmed the sleeves. I haven’t ordered the current Sewing Bee book yet, but I saw on the review that there’s a pleated front shirt. 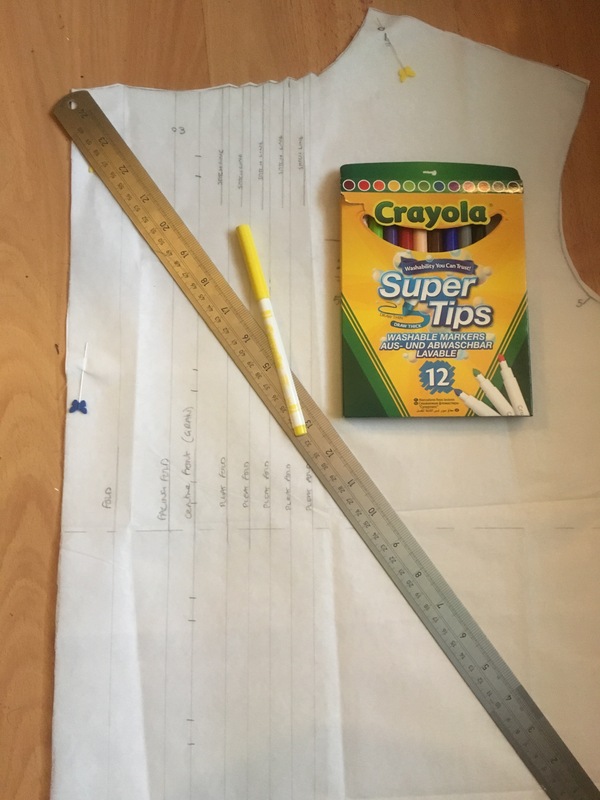 The time has finally come to trace out those last pattern pieces! So I got some washable colouring pens. They’re a bit of an experiment, I’ve read that the washable crayons are really good. I got some & only used them once so far. They washed out really well. The only issue was they blunted quickly so I thought, best for marking pockets, darts & notches. I thought the pens might be better for a bit of precision work! Yellow for the pin tucks & green for the button placket. I’ll be honest, I unpicked the first tuck twice, first time I thought was too shallow, second time too deep. The next attempt was ok but the one after was wonky. I cut out another front & started again. Second time round I got the formula right. 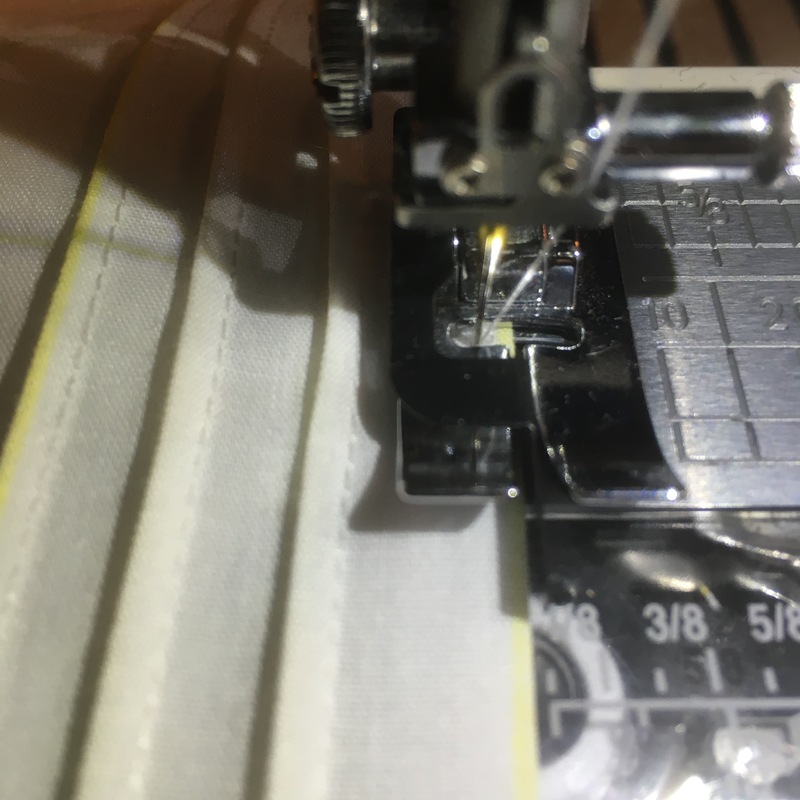 I started stitching the tuck closest to the side then pressed it to the side. Then the next one. I used my stitch in the ditch foot (my favourite, I think, of my sewing feet!) with the needle set to the furthest left position. I still think they could be a bit deeper, but at least they’re even! Next up, I folded the button plackets under & stitched them down. I put a contrast yoke on too, using the burrito method. I always make sure to roll it up nice and tight & pin it so nothing can slip out from the roll and catch in the seam. 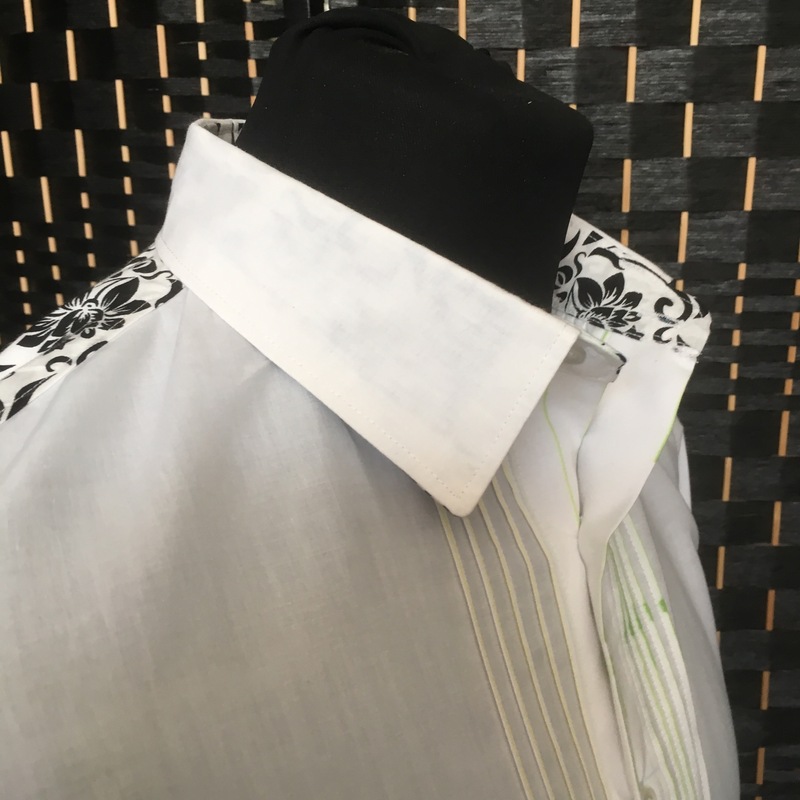 Now, the last time I tried to document my collar construction I got so swept up in the photo taking that I realised too late that I had put all my inside contrast pieces on the outside! After unpicking twice, I gave up and kept the ‘flair’ on show! … So this time, I concentrated! Attach the plain outer collar stand, right sides together, to the neck line. Press away from shirt & seams up. Make the collar & topstitch. Pin the collar, contrast side, to collar stand. Pin inner collar stand, right side down onto the plain side of the collar. 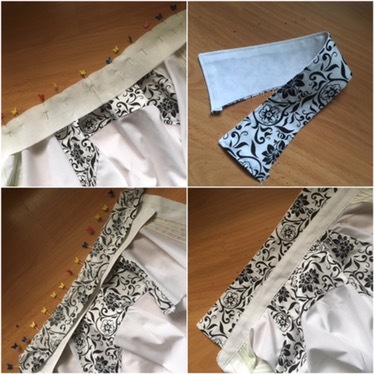 Stitch around the collar stand from front neckline to front neckline, securing the collar. Flip the inner collar stand over and pin (in the ditch from the right side) catching the the inner collar stand seam allowance. Stitch in the ditch from the right side catching the inner stand. Topstitch round the collar stand. … Did that make any sense?! I prefer this method to the other one where you make the whole collar and stand and fit it on as one piece. I feel like I have a bit more control when I do it separately. Next, the cuff plackets. This is my favourite method too, unless I’m using a contrast under-placket. 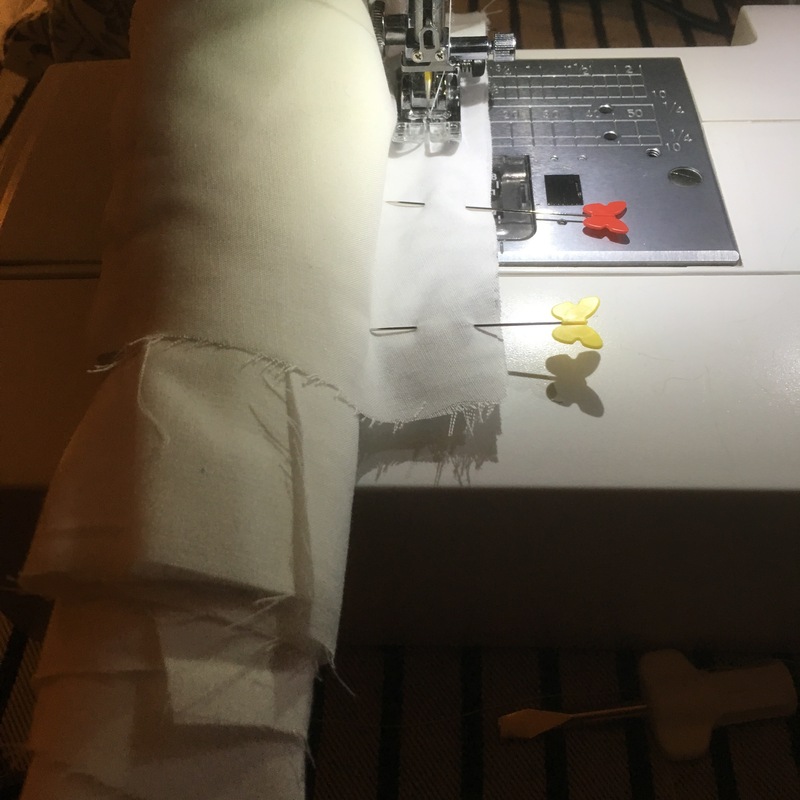 Turn a narrow double fold hem on the short side of the slit. 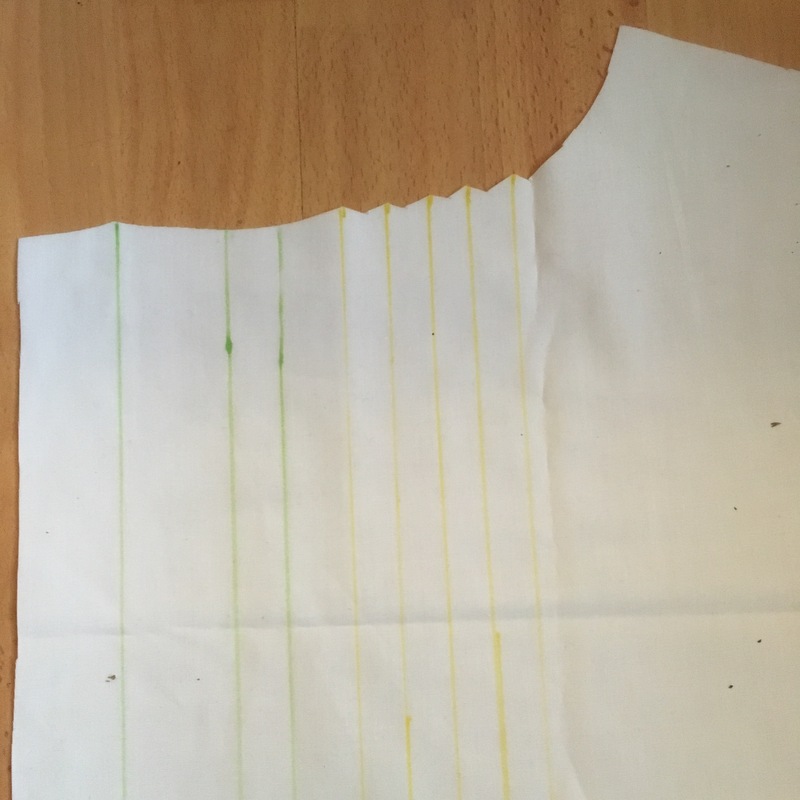 Sew the placket (right side) to the other side of the slit (wrong side). 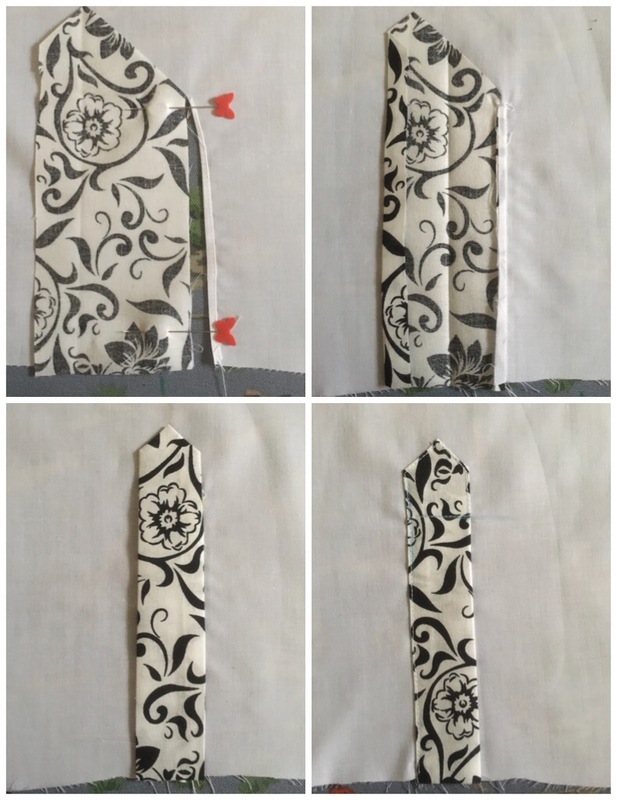 Turn it over to the right side and press the seams toward the placket. 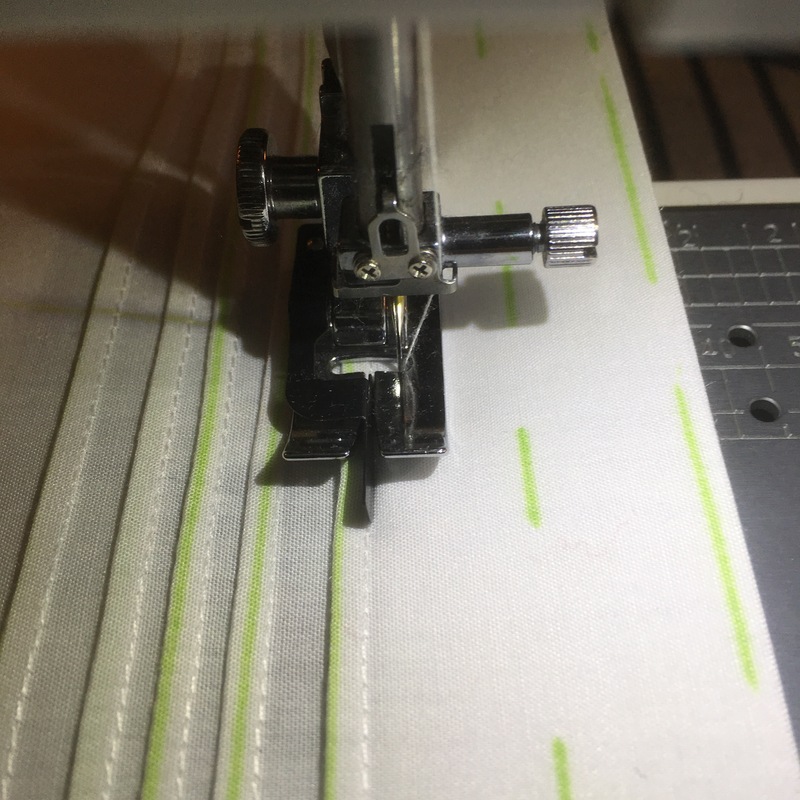 Press the seam allowance over on the long side and fold the point at the top. Stitch across the placket, up the inside, over the point and down the outside to the cuff edge. I use a Water Soluble Glue Pen rather than pins to hold it down when sewing. Hm, the tucks look a bit wonky, but I’m sure they’ll press out evenly (… Looks sideways…) ALL THE PEN WASHED OUT! I was a bit worried as it had been on for three days, been ironed loads and really had a chance to set, but not a trace! I should have used the pens on the buttonholes, there’s a bit of blue chalk left on them, but I’m sure it’ll wash out eventually. So my shirt is on the washing line, ready to wear to work next week. 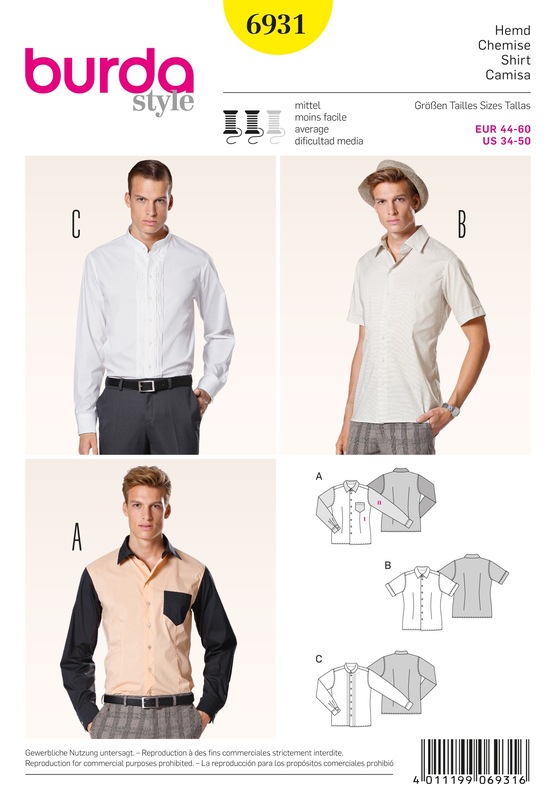 And I’ve finally made every variation of Burda 6931! I’ll look forward to getting those tucks under my belt, but not bad for a first go…? Clearing out the shed, I found some rolls of thick lining-wallpaper. I’m going to use it to make a hard copy of the pattern and all the variations. That’ll be a fun afternoon. But not today, it’s too sunny! Don’t use blue chalk on white cotton. Next Next post: Wax Print – Full Chicken Pocket! Great shirt, and I love the contrasting fabric. Next time I’m in London, you’ll have to take me fabric shopping!